We are pleased to welcome you to our website! Nearly 20 years, the team INSAT-AERO offers its customers a variety of flight options worldwide. We act as an operator of business jets to fly a plane in the interests of their owners, are specialists in business aviation VIP flights on the organization of any complexity, advise on the acquisition and management of private jets and helicopters, as well as hendling support to European operators of airports in Moscow. 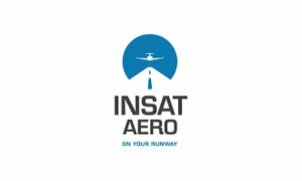 Insat-Aero on your runway!